The advisory was issued after residents alerted officials that three of the animals were spotted Monday. Three coyotes have been sighted around Conception Bay South, prompting the town to issue a warning. Residents alerted officials on Monday that the animals were seen in the area of Blueview Avenue in Chamberlains. People are being asked to take the necessary precautions to keep their families and pets safe. The Department of Environment and Conservation's Wildlife Division has been notified. Anyone who sees a coyote is asked to call wildlife officials at 709-729-4180. Coyote attacks on humans are extremely rare, according to information posted on the provincial environment department's website. 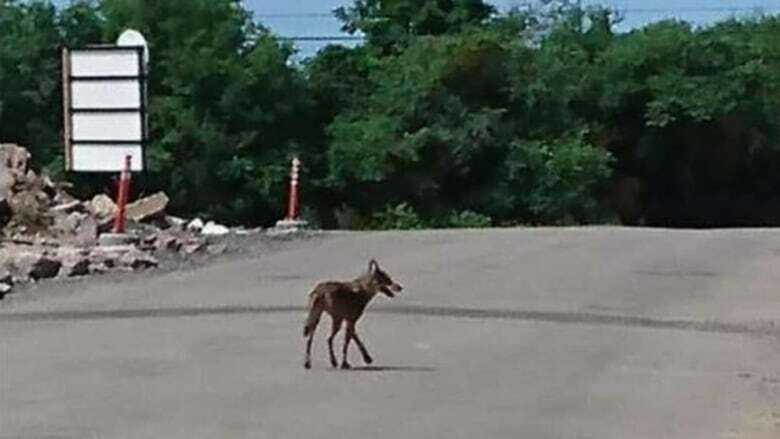 "Like most animals, coyotes usually have a natural fear of people, but they also possess natural intelligence and can quickly get used to life in residential areas as long as they have easy access to food," the website reads. Advisory: Three coyotes have been sighted in the area of Blueview Ave in Chamberlains. The Dept. of Environment and Conservation’s Wildlife Division has been notified. Please share this with your neighbours, and make the necessary precautions to keep your families and pets safe. Coyotes are smaller than wolves, and their coats are usually grey with black tips, with white fur on their throats, bellies and inside their ears, according to the government. If a coyote is aware of you, respond loudly and wave your arms to startle the animal. Do not turn away or run as it will encourage the animal to chase you.